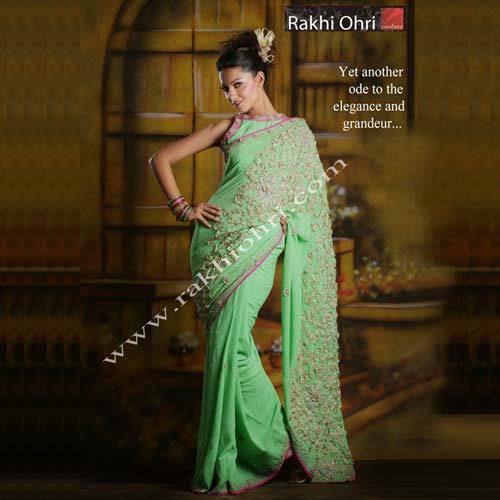 We are committed to offering only the best styled and best designed sarees for all occasions. We ensure our sarees are made of pure quality zari in our traditional saree wear and at the same time experiment a lot in a whole new series of materials that are of new materials and gel well to ensure they are of better quality. We have in store for our clients the alluring assortment of designer sarees that enhances the beauty and grace of the wearer. Meticulously designed in several colour combinations, these sarees are augmented Sarees. We choose superior quality fabric and well proportioned embroidery, appliqué as well as designer work on the sarees for full draping options. Our finish is of high quality and are known to offer greater enhancement to the wearer. 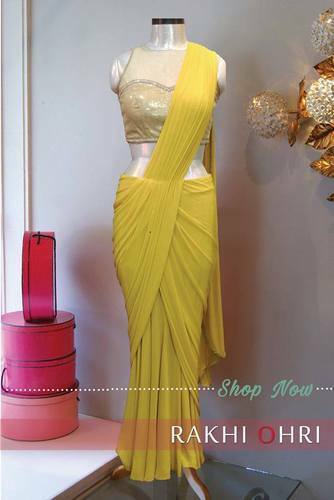 Our showcased range of Designer Sequin Saree is the perfect example of quality workmanship. Having the elements of traditional design as well as modern patterns, our range of Designer Sequin Saree can also be offered in customized specifications. The Designer Sequin Sarees are available in different fabrics, designs, colours and finishes. These Sequin Saree are designed in contemporary and abstract motifs, in custom-made forms and have claimed the choice of millions worldwide. The Beads Work Embroidered Sarees carry aesthetic designs, elegant embroidery, pleasing colors and fine finish. These Beaded Embroidered Sarees are available in beautiful colors and in contemporary as well as traditional designs. The finest threads used in crafting these sarees, helps us ensure flawless finishing. Our showcased collection of Designer Sequin Sarees is the perfect example of quality workmanship. The fabric used in designing our collection is of best quality and assured to be pure & authentic. We are a designer group that focuses on developing exceptional quality products that are elegant, classy and bring about enhanced looks to the wearer of our sarees.